The first semi-final of the 2019 Dubai Duty-Free Tennis Championships will see a tussle between two players, a veteran and a youngster, coming off the back of successful tournaments. 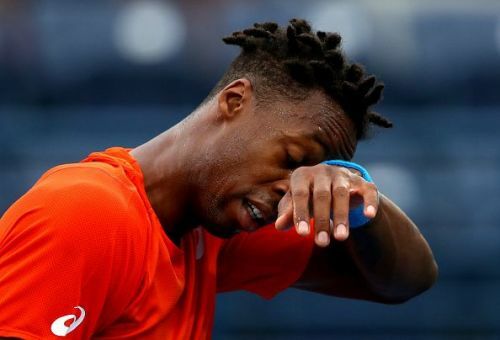 Gael Monfils came to Dubai after winning the ATP 500 title at Rotterdam and Stefanos Tsitsipas arrived at the tournament, having pocketed an ATP 250 title in Marseille. There is little to separate the two and what is certain is that it is going to be a cliff-hanger. Of the two matches they have played so far, each has won one. The Greek Next-Gen star got the better of the Frenchman at last year’s Shanghai Masters and the reverse happened when they met in the quarter-final stage of this year’s Sofia Open. Both those matches were on hard courts, so there is little to separate the two either on the basis of their career head to head record and recent form. The usually unpredictable Monfils has added a sense of calm and consistency to his game in recent times. Though he likes to entertain the crowd through his shot-making, he has espoused showmanship in favour of consistency. Consistency has rarely been the Frenchman’s forte, but he has followed up his good show at the Sofia Open and Rotterdam with another deep run here. He has been very good in his three matches so far, though he would be a bit disappointed at not finishing his quarterfinal match against Ricardas Berankis in two sets when he had the chance. However, he did bounce back in the third set and won it easily. In the match, he won a whopping twenty-seven more points than his opponent. In this tournament thus far, he has been broken five times, while breaking his opponents sixteen times. 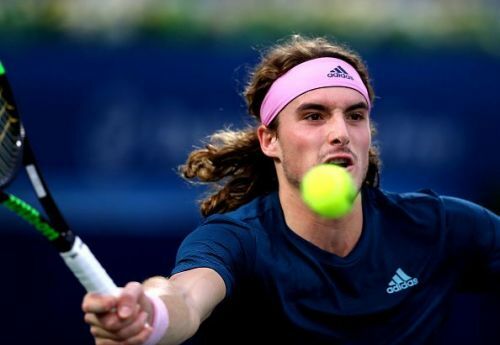 His semi-final opponent, Tsitsipas too has been in supreme form recently after a slight dip following his breakthrough performance at the Australian Open. He has followed up his Marseille Open title with three good performances in Dubai. However, except for his second round match against Egor Gerasimov, he has failed to dominate the other two matches. Against his quarterfinal opponent, the fast-improving Hubert Hurkacz, whom he had defeated at Marseille in straight sets, he struggled to impose himself in the first two sets. But after losing the second set tie-break, he was back in his element in the third, winning it easily. This semi-final between two in-form players promises to be very close, and whoever holds his nerve at crucial moments will emerge the winner.